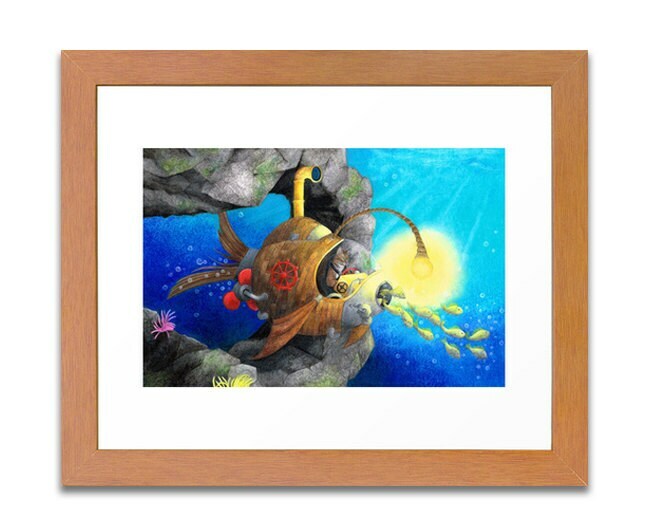 The Sea Snatcher - Signed Limited Edition print of 50. 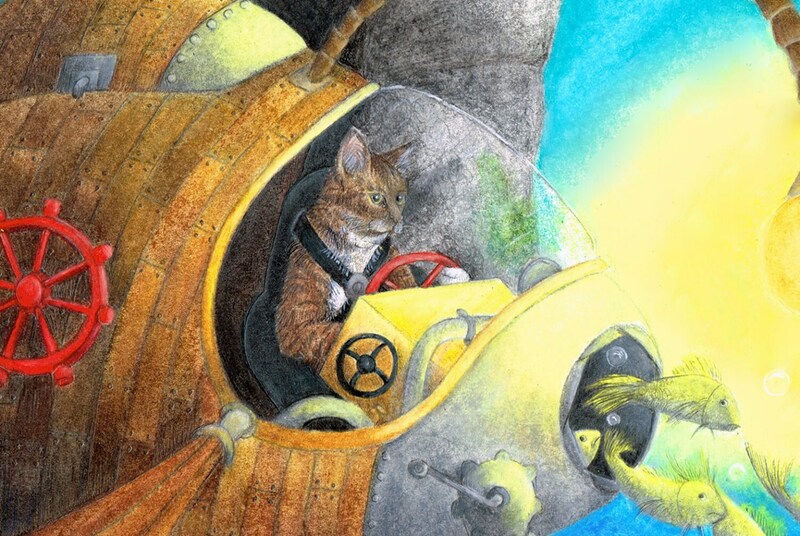 Steampunk Cat! 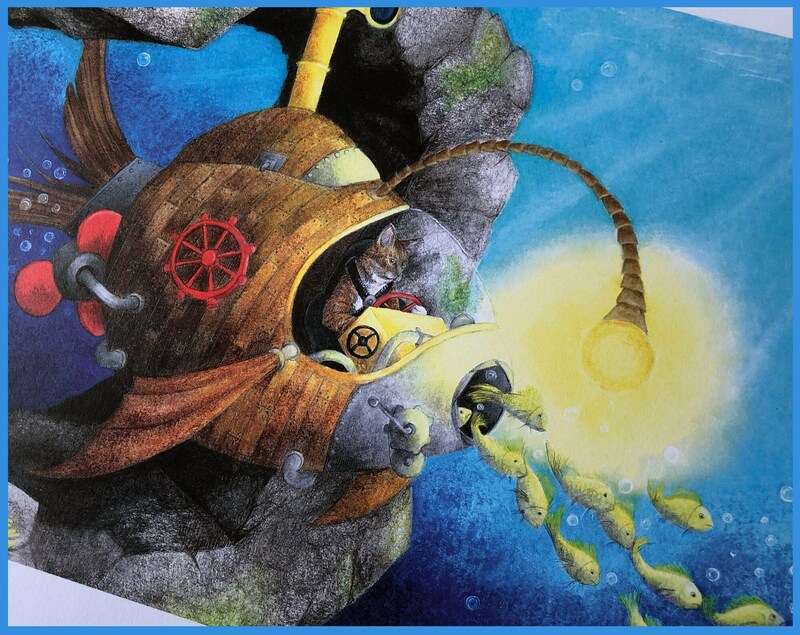 Meet The Sea Snatcher - fish catcher extraordinaire! 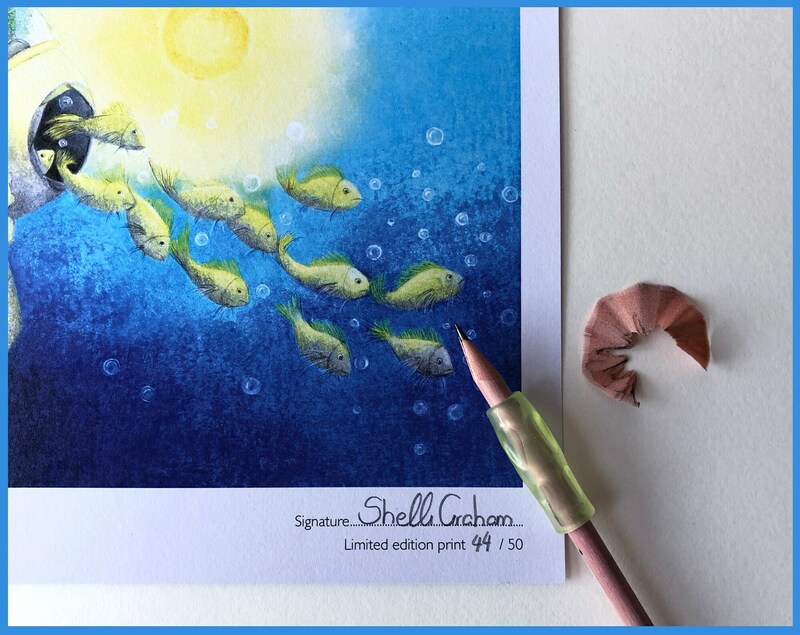 The original illustration was created using pencil crayon, graphite, water colour crayons and white water colour. 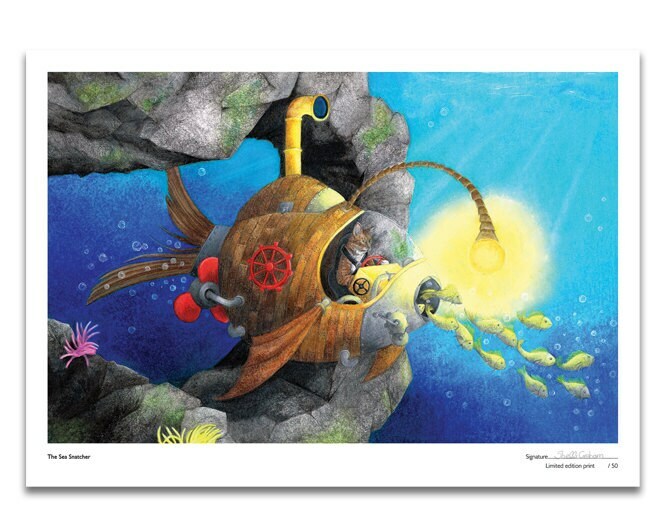 This is a high quality print on 300gsm white recycled board of the original illustration. The image measures 15.5" x 10" with enough white space around the edges for framing (overall packaged size is A3). 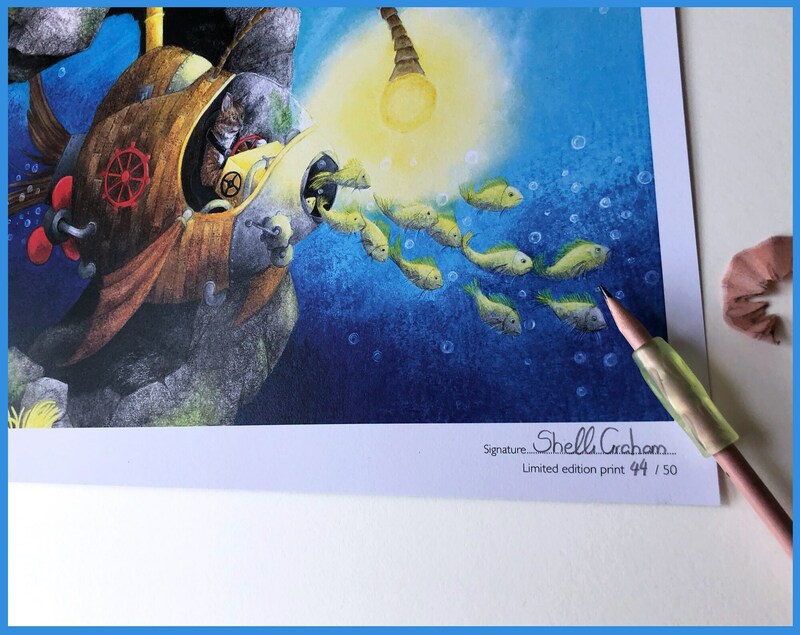 Each print is signed and numbered. You will receive your print carefully rolled up inside a postal tube lined with tissue paper. There are just 50 in the world, so hurry, when they are gone they are gone! Have you seen the other snatchers? Another fantastic print from Shelli. I had already purchased the sky snatcher in person and was impressed, and both the other snatchers purchased on Etsy look fab. They were shipped prompty and well packaged. The three I have received from Shelli are fantastic. The prints are high quality and I can't wait to get them frame and displayed. 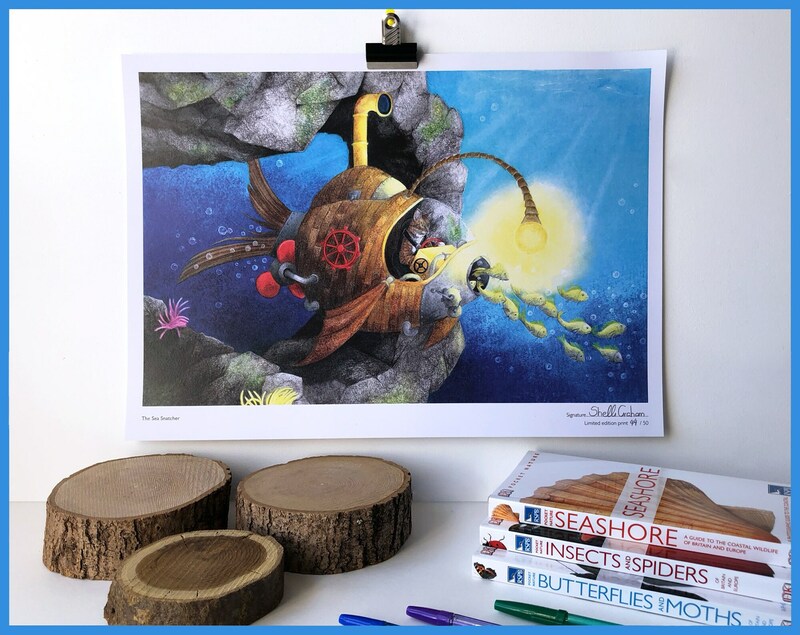 The colours are vibrant and prints can be enjoyed by everyone (may 2 year old son loves them). I'm that impressed I have asked her to let me know if she adds any to the series as I will definitely be buying them if we does. Keep up the excellent work and I look forward to seeing more of her work. Love the idea, the design, and the colors.